Savor Beauty Lavender Toning Mist 02, 4 oz. 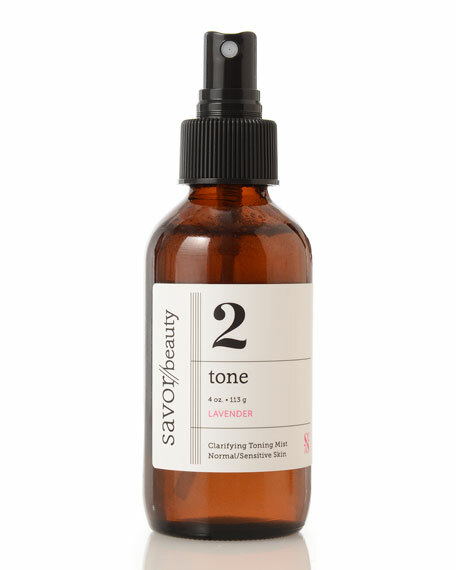 Savor BeautyLavender Toning Mist 02, 4 oz. calms the skin and the mind.  celebrity makeup artist Katey Denno. Savor Beauty Toning Mists are alcohol-free and leave skin feeling refreshed and renewed in seconds. Clarifying Lavender: Perfects all skin types and battles breakouts without agitating skin. Dewy Rose: Fights signs of aging for dry/mature skin. Neroli Blossom: Balances and smoothes skin for pore perfection. Fresh Lemongrass: Clears complexion for oily skin. Great for men's after-shave, too! #KoreanBeauty Tip: Mist face 3-5 times, breathe in the aroma and follow with serum and moisturizer. 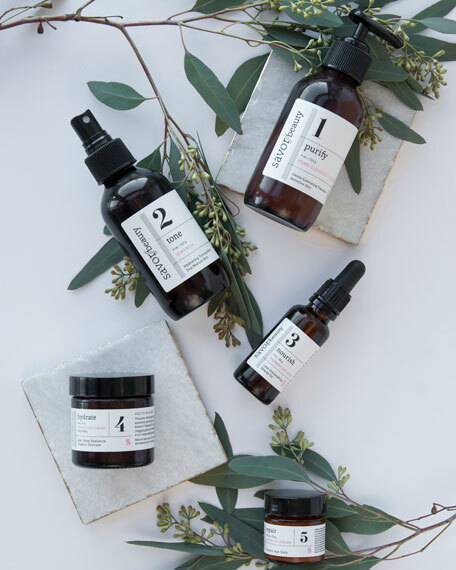 Toner is crucial to prime the skin and help glow-boosting serums and creams penetrate 5-7 times deeper into the epidermis for lasting hydration.